Founded in New York City, SelfieOnAStick.com is America’s leading provider of branded selfie sticks, the hottest gadget for taking the perfect selfie, group photo or sweeping panorama. SelfieOnAStick.com was founded by best friends and business partners Jacqueline Verdier, CEO, and Dominic Suszanski, President. Jacqueline and Dominic were on holiday together in Asia in 2014 and immediately recognized the need for a selfie stick. 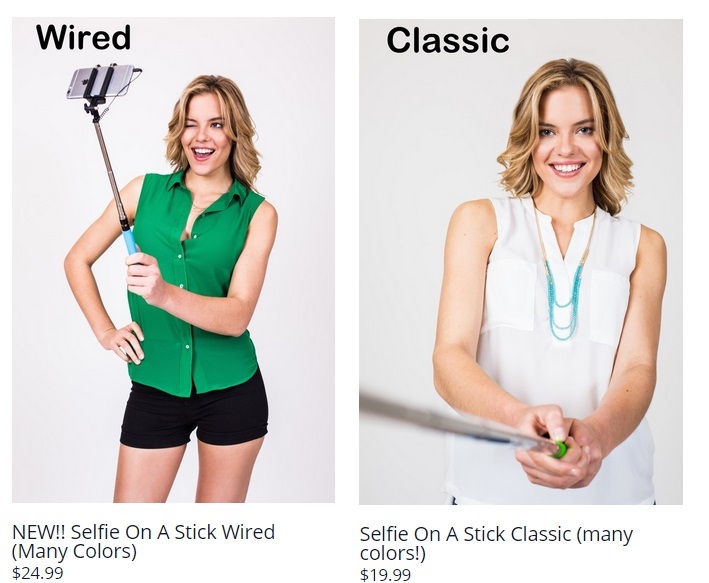 Utilizing their keen eyes for emerging trends, Jacqueline and Dominic recognized the opportunity to create a Selfie On A Stick brand of high quality selfie sticks to the American market and launched Selfie On A Stick LLC and www.SelfieOnAStick.com in July 2014. Since launching, Selfie On A Stick LLC has expanded business strategies to include collaborations with major national retailers, customized promotional strategies for corporate clients, and Selfie On A Stick has emerged as today’s most popular party favor. As the selfie stick phenomenon sweeps across America, SelfieOnAStick.com has been featured in numerous interviews and national media coverage including Good Morning America, Bloomberg News, NPR, Telemundo, CNBC, CNN, Vogue and many more! The Selfie On A Stick can be found in national retailers coast to coast including QVC and Nordstrom. Corporate clients include Marriott, SalesForce, Foursquare, numerous public relations and branding firms and many others. 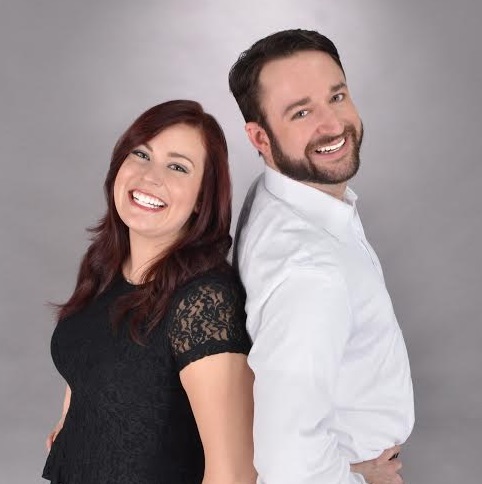 Jacqueline and Dominic utilize their expertise is social marketing to collaborate with retailers and corporations to connect with and engage their customer base. Jacqueline and Dominic are excited to continue to grow SelfieOnAStick.com by providing retailers with the opportunity to be on trend and help America take the #PerfectSelfie and #PerfectSelfWE with their Selfie On A Stick! All SelfieOnAStick.com models can be customized to suit personal and professional taste. We are both very observant and trust our abilities to recognize and capitalize on opportunities. In addition to starting a thriving product business, SelfieOnAStick.com, we have really helped to revolutionize the way that brands are able to interact with their customers. SelfieOnAStick.com selfie sticks are an amazing tool for enhancing any activation and to facilitate user generated content. We both recognize that the most successful products have to be of high quality, provide a solution to a problem, and be fun to use. SelfieOnAStick.com selfie sticks are not only the highest quality on the market, but they really help our customers take better photos, get everyone in the photo – no one is left out. This enhances both the experience and the memory. Not to mention, our models are inherently fun to use. Just click the stick to take the pic! We have always focused on the quality of our products and constantly look for ways to improve based on feedback we receive directly from our customers. We strive for excellence and will stay the best by never being complacent with status quo. Personal: To always enjoy whatever we are doing. Business: To always be a market leader, to continue to strive for excellence, and to be a trusted source for integrative and engaging marketing opportunities. The world becomes more connected every day and we’ve been able to see how quickly moments can be shared across the globe. There have been some really cool photos, taken by using a SelfieOnAStick.com selfie stick, whether on top of an iconic building, cultural landmark, or an event, that have gone viral and suddenly the whole world is talking about the same moment! The golden rule; treat others as one would like to be treated. Our parents who have been incredibly supportive as we launched SelfieOnAStick.com and are some of our favorite people! Hong Kong is one of our favorite cities because we never would have seen the opportunity to bring SelfieOnAStick.com selfie sticks to America if we hadn’t spent time there. We also love the relaxed beach vibes of Cape Cod. SelfieOnAStick.com selfie stick, which come in 3 different models: Wired (plug the cord into your headphone jack and click the stick to take the pic, no battery or Bluetooth required), Wireless (pair by Bluetooth and click the stick to take the pic) and Classic (set your camera’s countdown timer to take the pic). SelfieOnAStick.com selfie sticks work with nearly any smartphone with a camera, and are great for videos, FaceTime and streaming, too! We are both passionate about business and helping others. We work closely with Defy Ventures, a non-profit which “transforms the hustle” of formerly incarcerated Entrepreneurs-in-Training by offering intensive leadership development, business plan development, executive mentoring, and financial investment. We work directly with several Defy graduates and are proud to have them as an integral part of #TeamSelfieOnAStick. We are looking forward to continuing to expand our relationship with Defy Ventures through mentoring and increased participation in their programs.